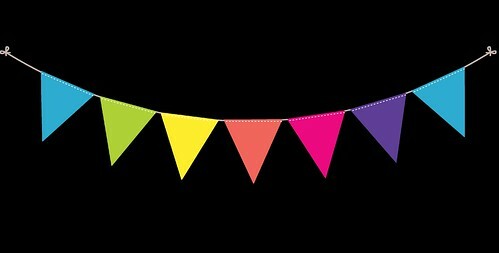 I'm sure most of you are familiar with the cute cutter from CuteZcute, I've shared about them many times and I've done quite a few creations using them. 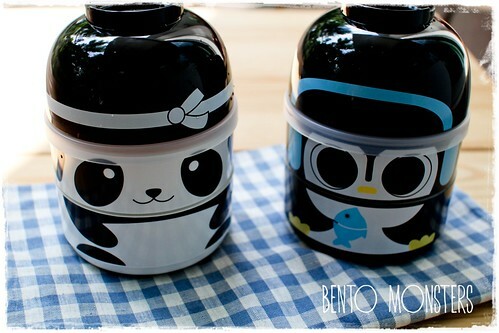 You can check out all my bentos made using the cutter HERE. 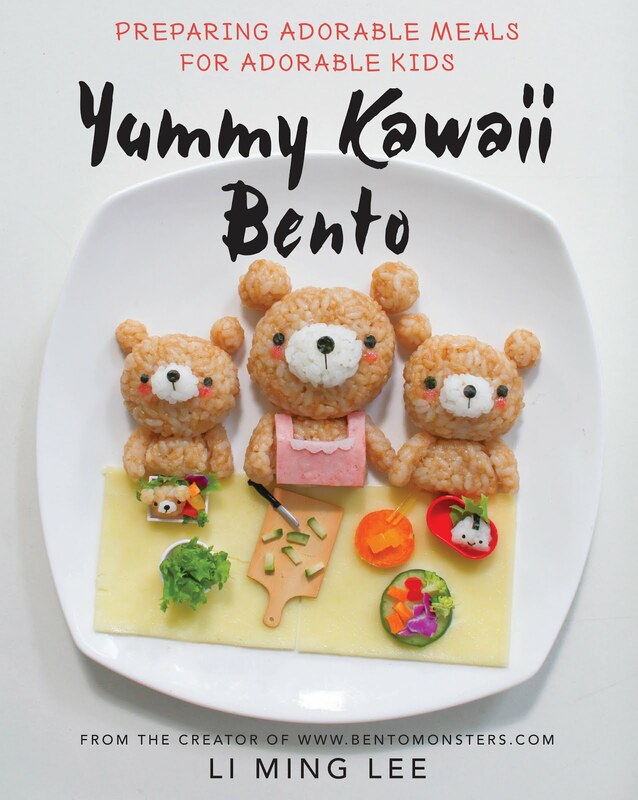 If you like the cutter, I'm sure you will be thrilled to know that CuteZcute has just launched 3 super kawaii bento boxes. These boxes have the cutest names too. There are 3 designs and they are called Baby Bento Buddies. The one on the left is Baby Ninja Panda and the one of the right is Baby Cool Penguin. There's another one in pink and that one is Baby Night Owl. :) These boxes are now available at BentoUSA. 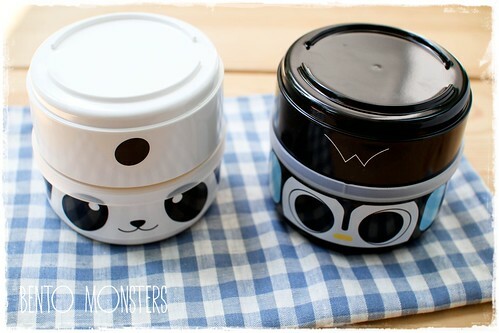 The capacity are 200ml, 240ml and 240ml, from the left container to the right one. If you are transporting the bento to work or school, the soup bowl on the right can't be filled since it will be turned over to act as a lid. What you can do is to pack some snacks in a ziplock, thermos filled with soup or dry soup pack, and it can be used as a serving bowl. They can be used as a single tier container too. For this, the bottom tier holds the food, and the top act as a lid. :) These boxes are dishwasher safe and mircowave safe (without the fitted lid). 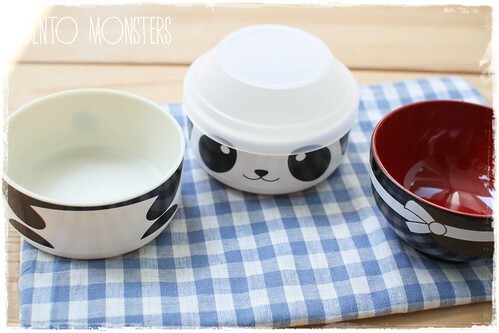 I made panda onigiri for my boys in their new containers. 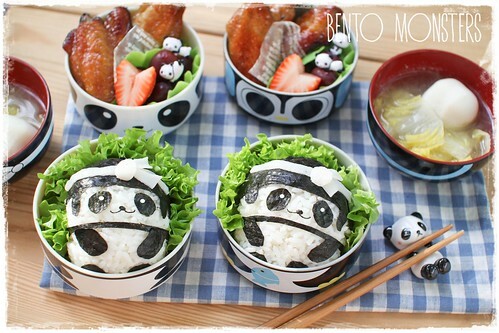 :) Panda are made just using rice, nori and crabstick. 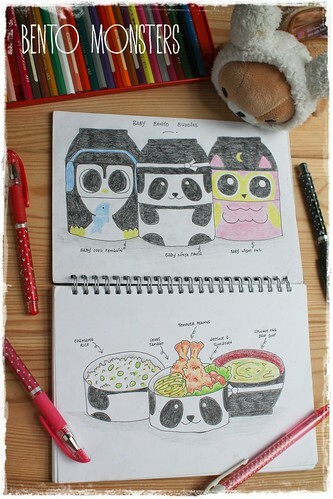 Love your super cute panda onigiri and I adore your drawings, so artistic! You are so talent! Will the portion too many to them? Tk u, Sannee. :) Nope, the size is only 450 ml, if don't count in the soup. They can eat a lot, my older one can still ask for fd a while later after finishing an adult portion. Wow love your panda onigiri! Tk u, Karen, lol, my owl is on the way, all 3 are so cute! Those are too freaking adorable! 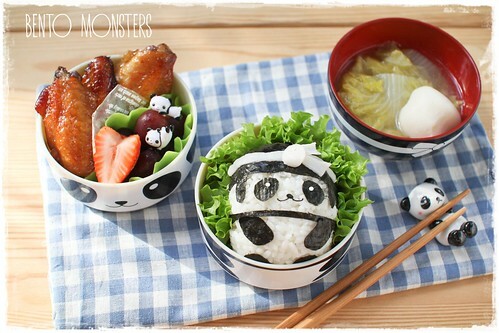 The panda onigiri are so insanely cute. Wow. I love how you drew them out! How did you cut them out so cleanly?